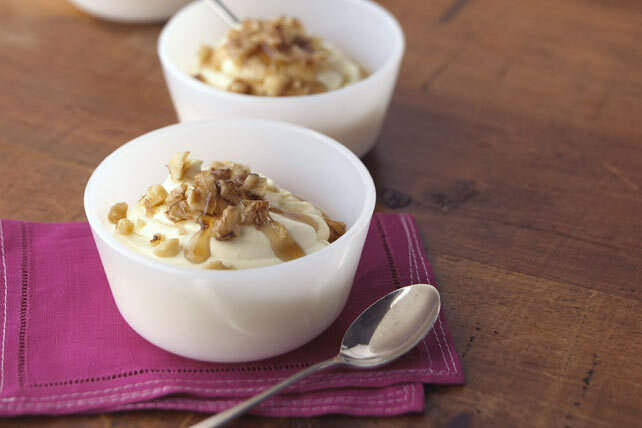 The winning combo of vanilla pudding, COOL WHIP and maple syrup is perfect in this quick dessert. Beat pudding mix and milk in medium bowl with whisk 2 min. Stir in Cool Whip and 1 Tbsp. syrup. Spoon into 8 ramekins. Refrigerate 30 min. Top with remaining syrup and nuts. Filled ramekins can be stored in refrigerator up to 24 hours before topping with remaining syrup and nuts as directed.